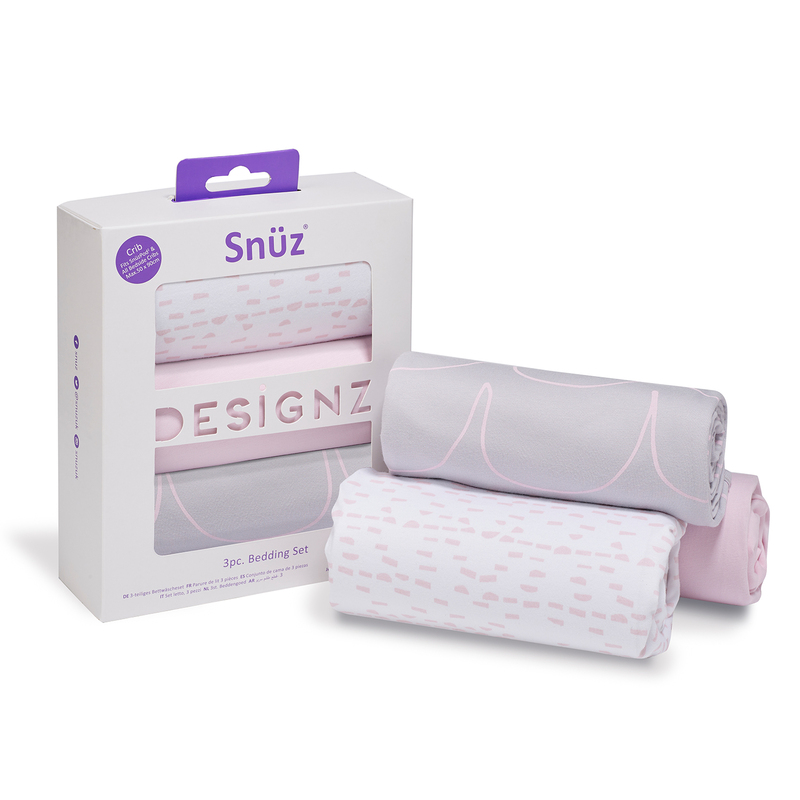 Style your crib with the Rose Wave printed bedding set, part of the Designz collection from Snüz. 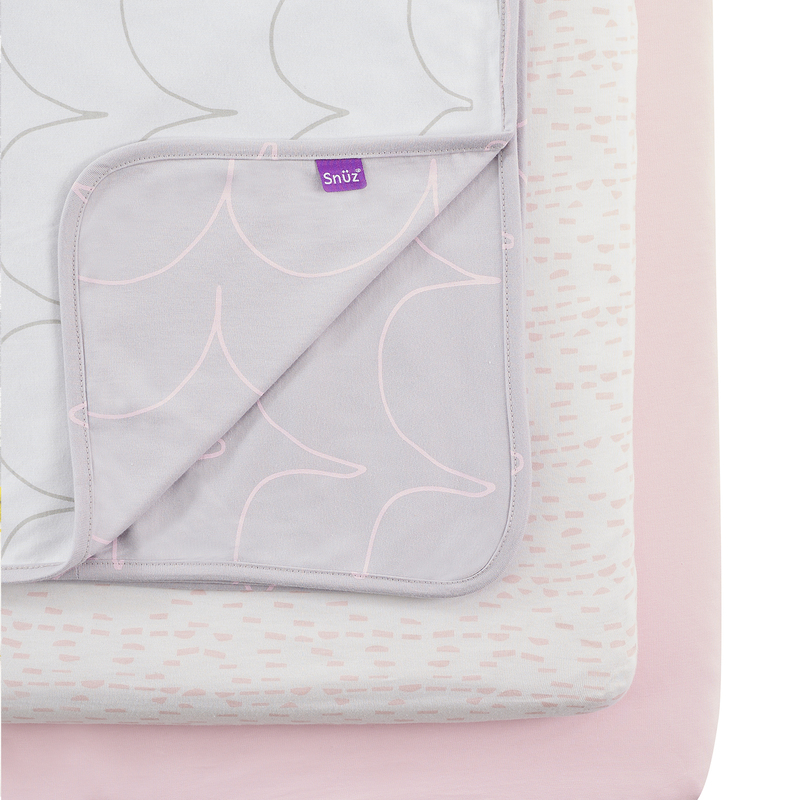 Containing two comfy fitted sheets and one reversible baby blanket, this handy bedding bundle is everything you need to get started. 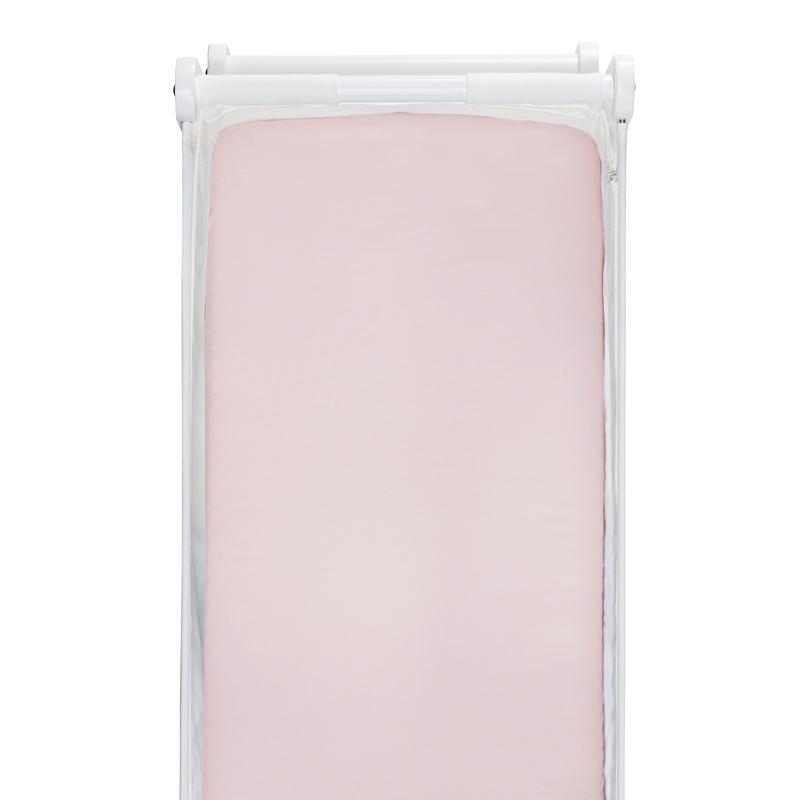 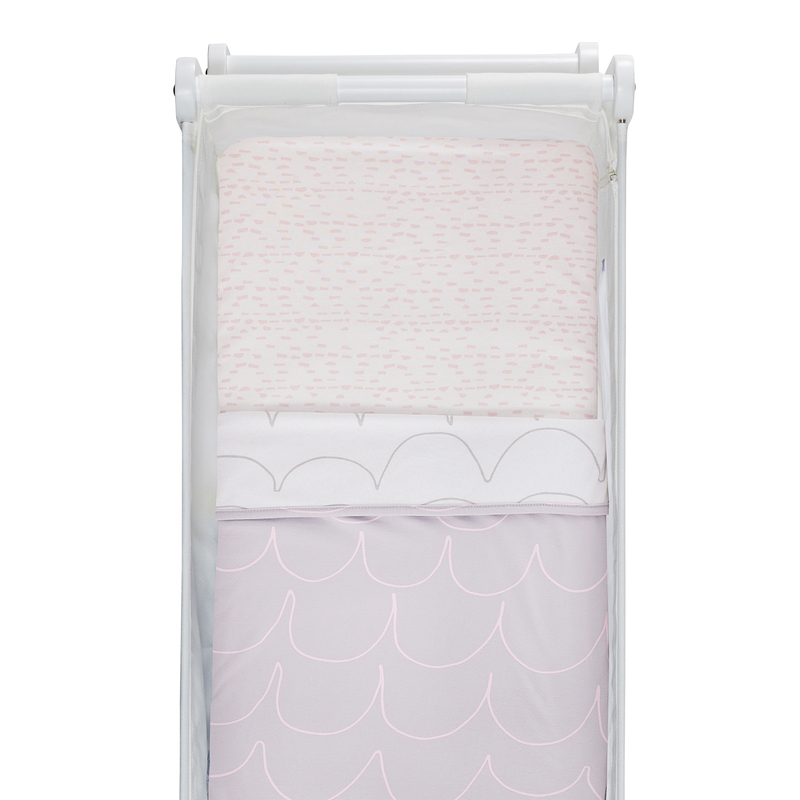 Fitting popular cribs such as the SnuzPod , the bedding set is made from 100% jersey cotton which is soft to the touch, helps control your baby's body temperature and reduces the risk of overheating.